Finally, Affordable Housing For Steamboat Springs? 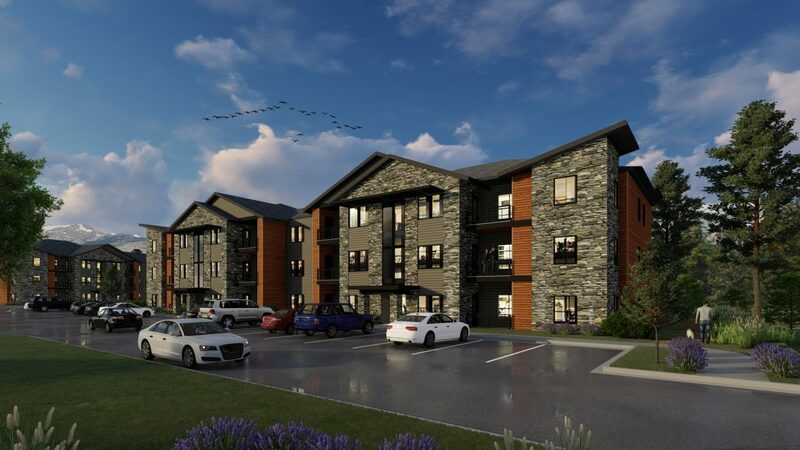 STEAMBOAT SPRINGS — A pair of long-anticipated condominium projects off U.S. Highway 40 between downtown Steamboat Springs and the mountain are now underway, and they are being marketed to locals. Trailside Village on the west side of U.S. 40 south of Walgreens plans to have 46 units built by 2020, and across the same highway off Hilltop Lane, K&K Builders has already started turning dirt on its 50-condo project, Fox Springs. "To start with, we're going to vet who we're working with and make sure they're full-time residents," said RE/MAX broker and owner Kim Kreissig, who is developing the Fox Springs site with her husband, Peter. "It's not affordable housing, but we want to make sure it helps the community and not investors. “Nightly rentals won't be allowed," Kreissig added. She said they are currently working from a list of people who have expressed interest in buying the two-bedroom units with two-car tandem garages, but she encourages others to check with their personal realtor for information on Fox Springs. Pre-construction contracts are being accepted for Trailside Village’s one- to three-bedroom condos, project manager Jody Corey said. Costs are expected to range from $269,000 to $559,000 with most units having a garage and carport. Because the complex is located near Fetcher Pond and the Yampa River Core Trail, Corey said it will not have any amenities like a pool or hot tub. "There's plenty of natural amenities, and the goal is to keep (homeowner association) dues as low as possible to make it more affordable to live," Corey said. The Australian-based developer Aria International wants Trailside Village to provide locals housing, but it is not prohibiting nightly rentals by owner. Right now, towns and cities across the nation are taking steps to regulate or de-regulate nightly rentals of private property as companies like Airbnb and VRBO become very popular for tourists. Some fear nightly rentals will eat into local housing, which is already scarce in many mountain towns. Currently, Steamboat Springs doesn't have any restrictions on developers like Aria or K&K, but a committee is being formed to study how vacation ownership and nightly rentals will impact the community in the long run. The committee, which will include realtors, planning commission members, city council members, property managers and the public, hopes to have a report compiled in four to six months. In the meantime, more affordable housing rentals will also be available by 2020 when Yampa Valley Housing Authority completes the Alpenglow Village project north of the Walgreens property on U.S. 40. "We're working with households from $25,000 to $100,000. … That's low to moderate income in our community," said Jason Peasley, the Housing Authority’s executive director. If all goes well, the Housing Authority expects to have 72 one- to three-bedroom apartments available in 2020. Kreissig said the price of new construction can be volatile, but she hopes to sell their condos in the mid-$300,000 range. "Our attempt is to provide entry-level housing, but it's challenging to bring the numbers in with the increase in construction costs and tariffs," Kreissig said. While Trailside Village is slated to bring 46 condos onto the market in 2020, the project will include 11 buildings with a total of 180 condos when it’s fully built out.